Every item within the Kohl administration’s 200-Day Plan has either been completed or is in the works at the conclusion of the plan’s timeframe October 5, Mayor Shannon Kohl announced. “Thanks to the hard work and team work of our City staff, combined with the partnership of our City Council and the involvement by so many caring residents, we have had a very busy, productive past 200 days. We kicked off our plan shortly after my March 14 State of the City presentation when I outlined our ambitious agenda for numerous initiatives within our five Buildings Blocks: Safety, Neighborhoods, Economic Development, Communications and Citizen Voice. 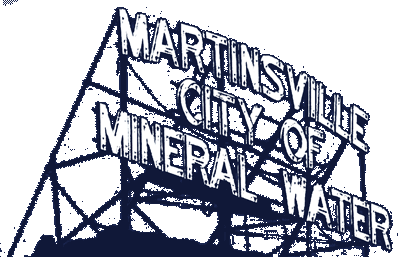 “While we have achieved a great deal since March, we have much more progress to make for Martinsville to become a strong, appealing and vibrant home for residents of all ages and business of all types. With so many exciting initiatives underway and so much promise ahead of us, it’s time to take our activities to the next level in many ways. “I look forward to outlining our next level approach and new initiatives in my 2018 State of the City. In the meantime, our City team will continue working hard on behalf of the residents and corporate citizens we proudly serve,” Kohl said. expansion of Mayor’s special recognition spotlight on community’s veterans, including an upcoming fall breakfast in their honor. For questions or interview requests, contact Mayor Kohl at 765-342- 2861.